Coltrane the turtle reporting in! Man o man, it was hot today. Luckily for me I was able to shell-ax in my tank and stroll over to the Children’s Garden Pond. The kids were turtley all in, we sprinted down the hill after flag ceremony. I was first, of course. Everyone knows the turtle beats the silly rabbit every time. The campers did blow past me however, with their wicked knowledge about the Earth. Let’s meet some of our Eco-Warriors! 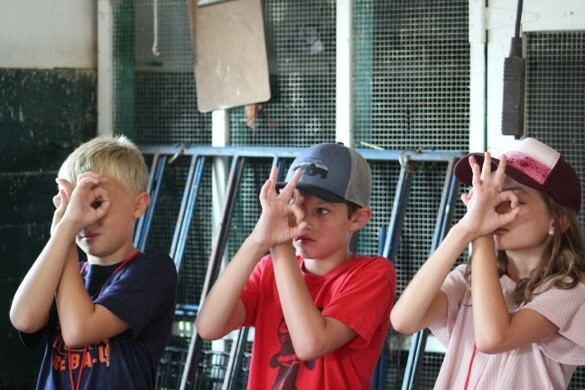 Special Note: Tomorrow our campers will be leaving the farm! They will visit the Resource Recovery and Recycling Center in Southfield to learn about what happens to all of the stuff after we put it in the recycling bin here at Tollgate. Please be sure to sign the permission slip and send your camper off in the morning with long pants. 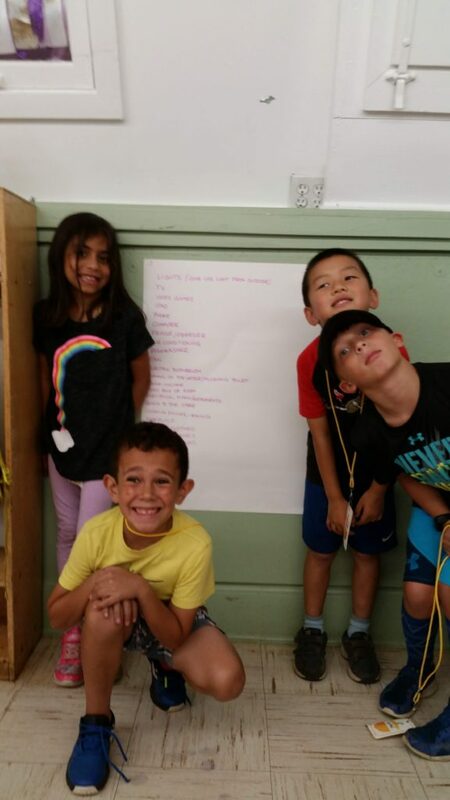 These campers are thinking about ways to make their eco-footprint smaller! These are our goat goggles. Prey animals like our friends Violet and Gracie cannot see directly in front of their faces. 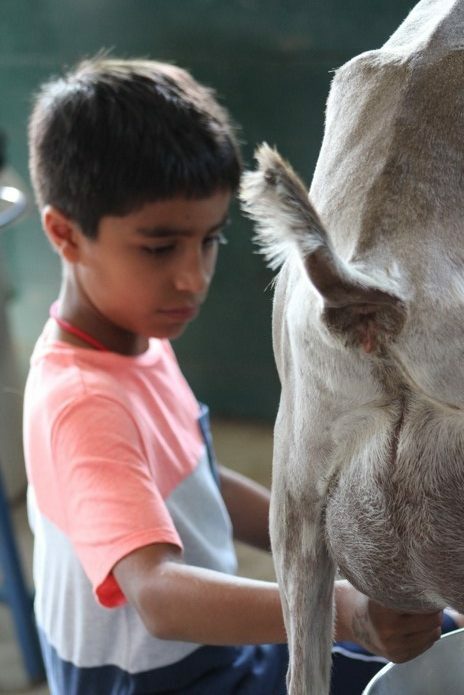 Milking can be a tedious job, but not too difficult when our campers are this focused! 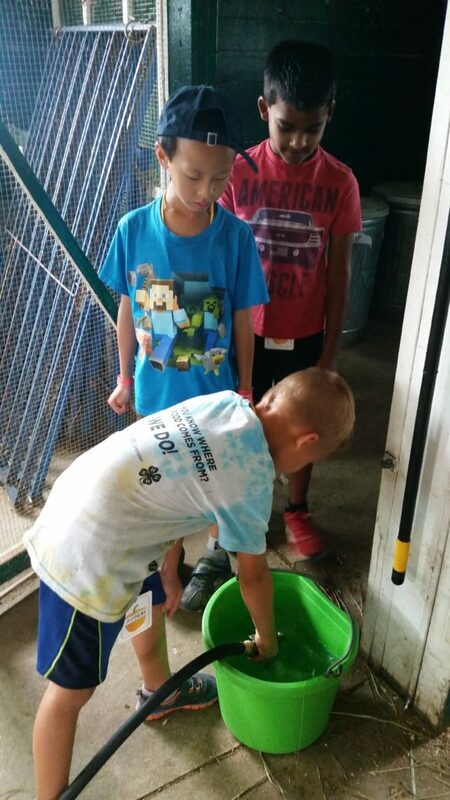 Campers made sure everyone on the farm was well hydrated. 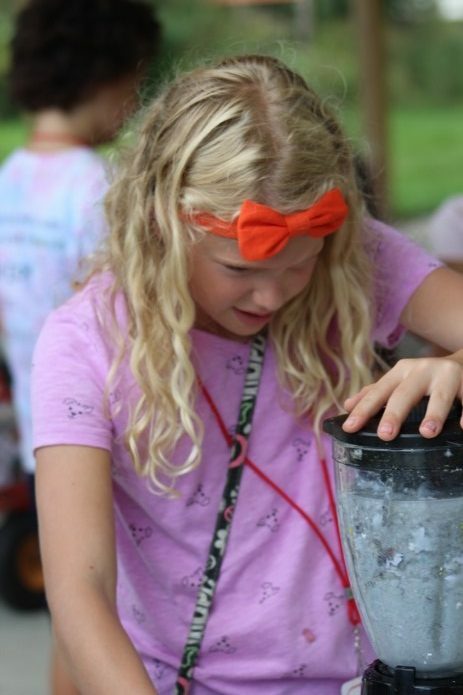 Focus and hard work are traits we see in all of our Eco Warriors! Our warriors mixed used paper (that would have been thrown away) with water to make new paper. Stay tuned to see the finished product! 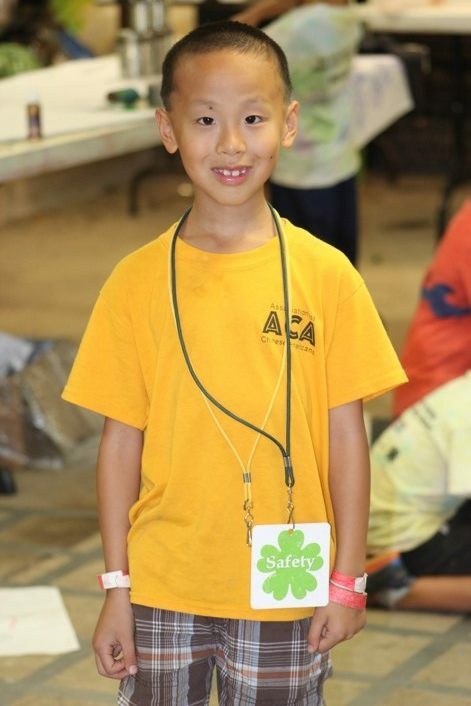 A proud smile is worn by this camper as he was the first in his group to earn the Safety badge. 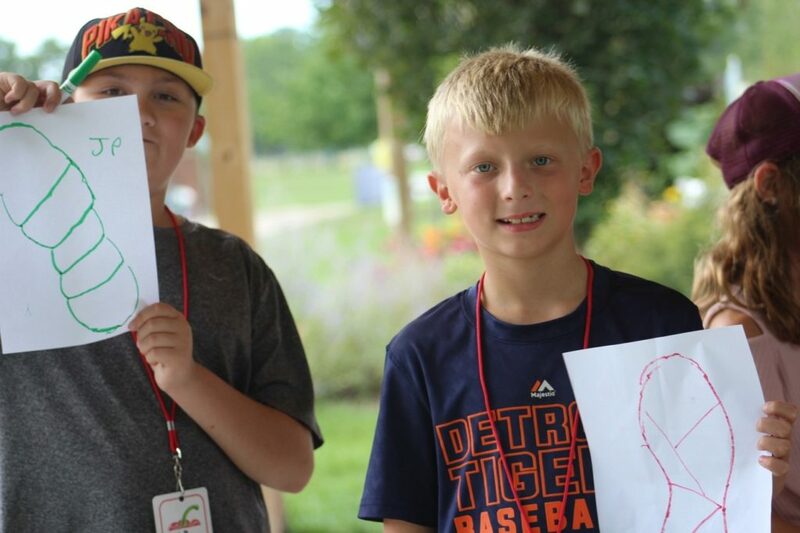 Campers found two Monarch caterpillars. 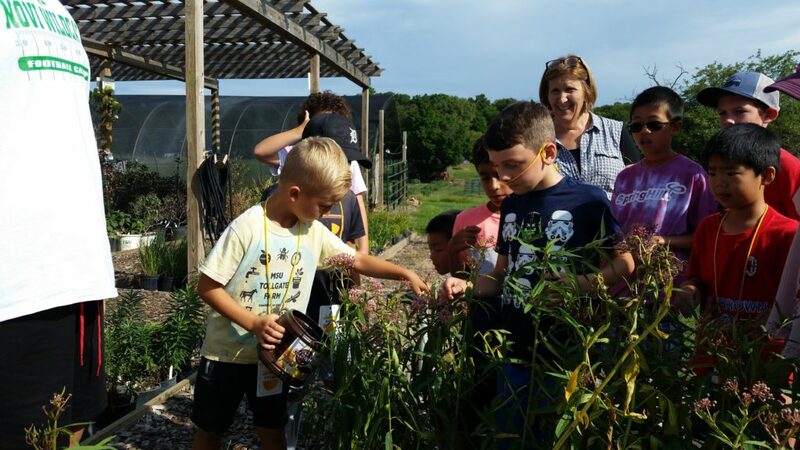 Campers released them on a healthy patch of milkweed to grow into healthy and strong pollinators. 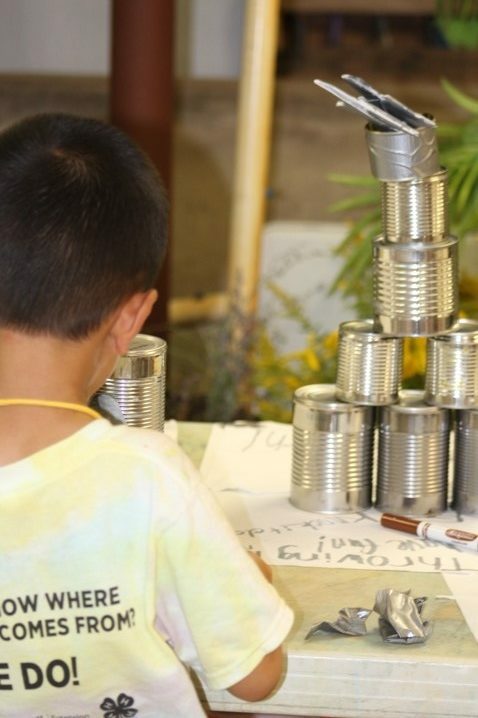 This entry was posted in 2018 Summer camp, Camp Blog, Summer Camp, Uncategorized. Bookmark the permalink.